Upper GI Endoscopy or OesophagoGastroDuodenoscopy is an out patient procedure.Upper endoscopy lets your doctor examine the lining of the upper part of your gastrointestinal tract, which includes the esophagus, stomach and duodenum (first portion of the small intestine). Your doctor will use a thin, flexible tube called an endoscope, which has its own lens and light source, and will view the images on a video monitor. An empty stomach typically at least for six hours is good. This means no solids or liquids six hours before the procedure. Though liquids run off much faster it is always safe to follow this advice. The procedure is usually done under Local anaesthesia . The doctor either asks you to gargle with an anaesthetic liquid or sprays an anaesthetic in the throat. The patient is usually asked to wait for 5-10min before the anaesthetic starts working. In an overtly anxious patient, mild sedation can be given to quell the anxiety associated with the procedure. The procedure usually takes about 10-15min. 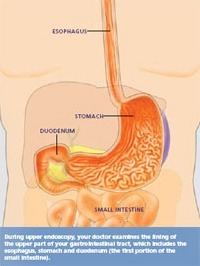 During this time the endoscope is passed into the oesophagus, stomach upto the second part of the duodenum. The tube does not interfere with breathing. It is important that the patient relaxes and breathes normally. Tightening up may bring the oesophagus in contact with the scope and cause retching. At the Laser Gastroenterology clinic, the Holmium Yag laser is used to treat lesions in the Upper GI tract. 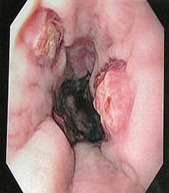 Polyps, Tumors are all excised or vaporized with the laser. 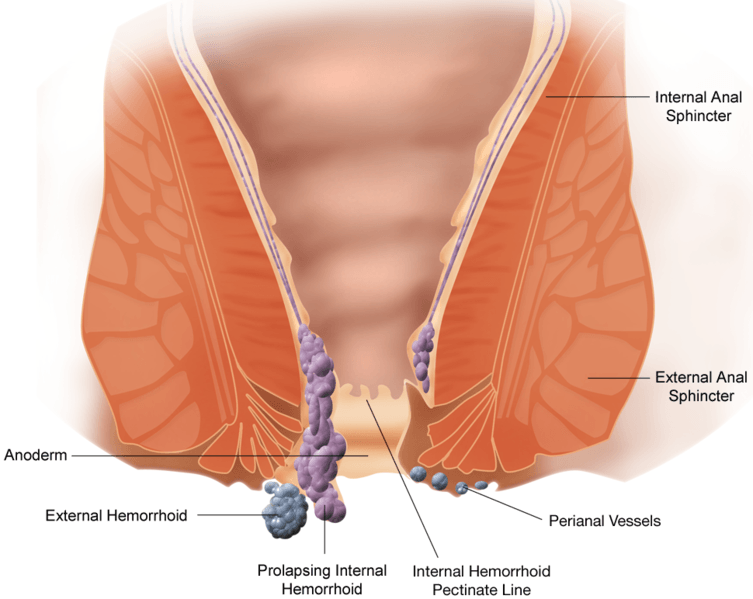 Also strictures can be dilated with the Ho Yag. This is done with minimal or no scarring or blood loss.